Some resorts will even amuse them all day for free which allows you to live the family travel dream with Centara. Nothing brings you down to earth with a bang like family life, which is why parents deserve all the holidays in the world. A holiday with cantankerous kids is no holiday at all, though, so when a resort is kitted out with everything you could dream of to keep stars in the eyes of the kids, and the parents squarely in the lap of luxury, we know you want to know about it. Imbued with the gorgeous hospitality traditions of its native Thailand, Centara Hotels and Resorts wants every guest to be as happy as they can possibly be, and that includes families. Resorts across Thailand, the Maldives, Sri Lanka, the Middle East and Vietnam mix their fabulously exotic locales with a level of luxury that kids will appreciate, like non-stop fun, free activities and amazing food. Take, for example, the extensive water parks that make a couple of Centara’s Thai properties eye-poppingly exciting for kids. 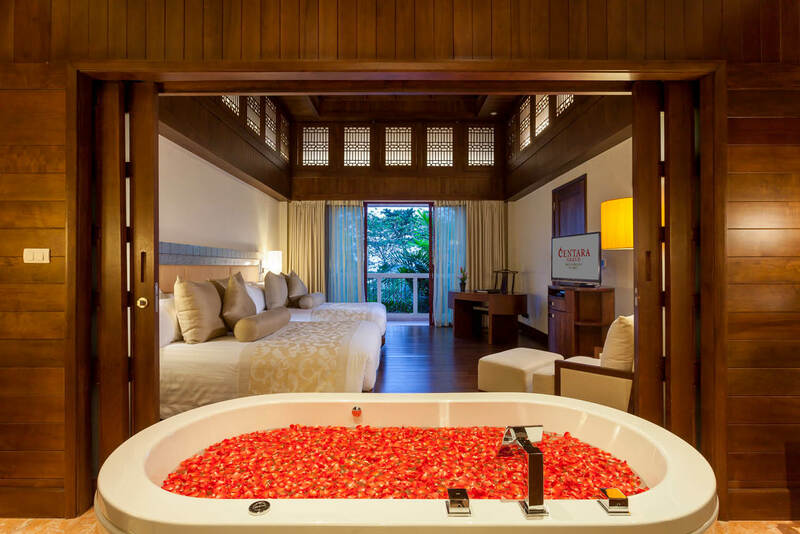 Half of the 262 rooms at the Centara Grand Beach Resort Phuket include either an outdoor Jacuzzi or private pool, and most rooms are suitable for two adults and two kids. Suites and villas all feature a balcony or terrace with views out to the ocean or across the beach, but it’s the four swimming pools that really headline, including a kids’ pool, Jacuzzi, waterfalls, waterslides and a lazy river to float down on an inflatable. Ocean activities include kayaking, sailing, snorkelling and windsurfing, and there’s always the free kids’ club for four to 11 year olds. Centara Grand Mirage Beach Resort in Pattaya is an easy two-hour drive from Bangkok and bursting with water park activities including 12 waterslides and cliff jumping for the older kids. Plus there are a multitude of excursions; think cooking, yoga, diving, or rock climbing, to start with. 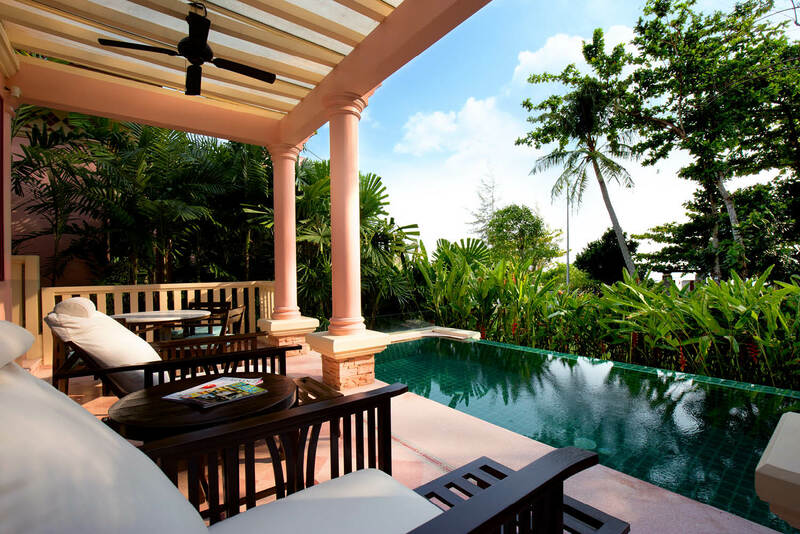 Other Thai properties such as the Centara Grand Beach Resort & Villas Krabi and the Centara Karon Resort should also be on your list to check out for family holiday greatness, and keep in mind, at any of these resorts, you can also choose half- or full-board packages to keep surprises to a minimum. If that sounds particularly heavenly, perhaps an ‘Ultimate All-Inclusive’ program is your dream come true? That’s offered at the rather spectacular Centara Grand Island Resort & Spa over in the swaying-palm-tree postcard come to life, the Maldives. This place has the makings of a truly stunning family trip of a lifetime: not only does the package include watersports, activities, excursions and the excellent kids’ club, as well as a choice of three venues for lunch and dinner each day, you’re also looking at Champagne breakfasts, wellbeing services (hello, daily massage), even swimming with whale sharks. 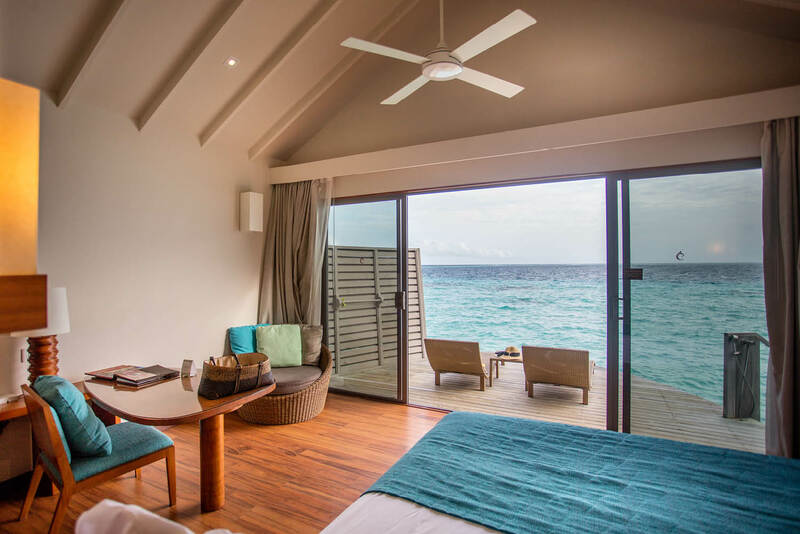 There is the choice to forgo spa treatments for the excitement that comes with three dives in the famous Maldives waters, per villa, per week, so this package really does cover everything. 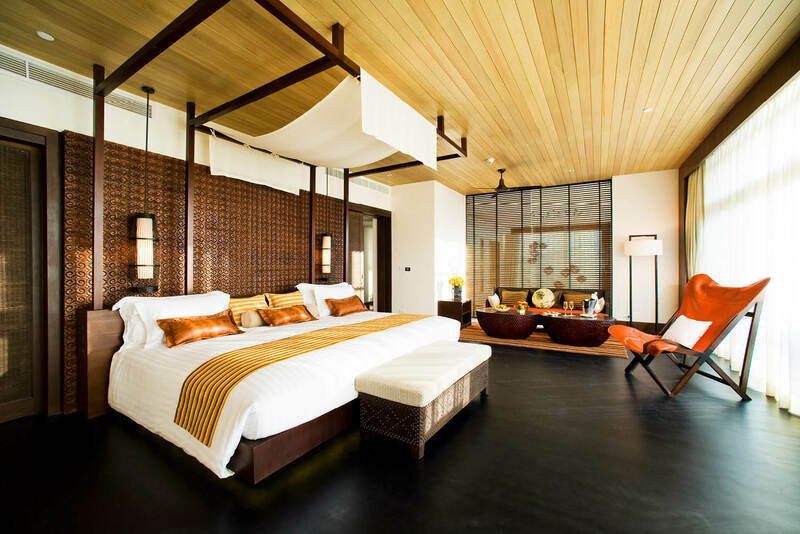 Family residences have separate sleeping areas for the kids with bunk beds or two double beds, while the dreamy overwater Deluxe Family Water Villas have safety gates both at the lagoon and the room’s entrance, to keep everyone relaxingly safe. Of course, for those yet to dream of kids (or those dreaming of none, anywhere near them), Centara has the ultimate couples’ or honeymooner destination in their Centara Maldives Ras Fushi property: unapologetically adults-only and brimful of luxury tailored especially for grown-ups (who are child-free enough not to use the word grown-up – sorry). A 20-minute, Bond film-like speedboat ride from the international airport, this is a true retreat situated right in the North Malé Atoll. 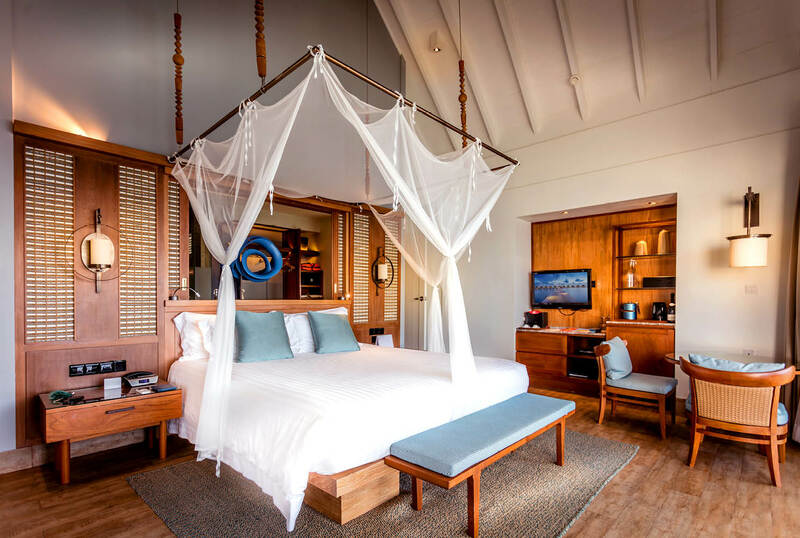 It offers all the luxury of amazing watersports activities, overwater bungalows or beachfront villas and a view of that crystal-clear, azure water out of seemingly every window, without the family focus offered by other resorts. Whichever dream works best for you, it’s very clear to us that you deserve – as we said – all the holidays in the world.